What obstacles did African-Americans face in the 1940s? What historical figures can you name from the World War II era? What drew the United States into World War II? What countries was the United States allied during WWII? What do you already know about African-American military history? What are the points of view in literature? What is the term for poetry that tells a story? In what ways does poetry differ from prose? What aeronautics terms do you already know? Are any of your relatives World War II veterans or Air Force veterans? Why do you think the author chose to tell the story in verse? In second person? What character traits did the Tuskegee Airmen exemplify? 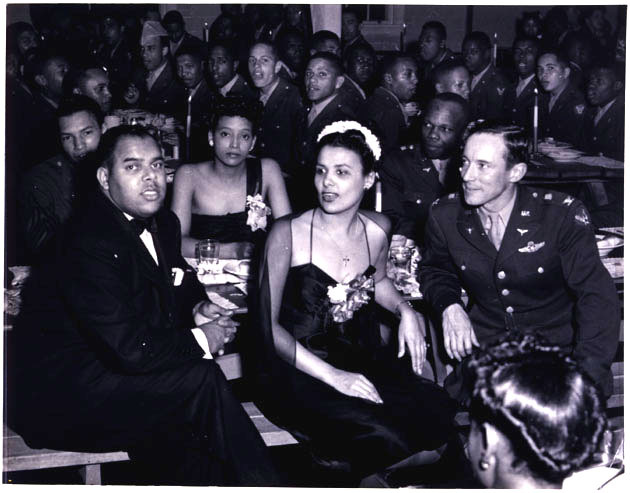 Why did First Lady Eleanor Roosevelt advocate training blacks as military pilots? How did it feel for black troops to fight for democracy overseas when they were denied equal rights at home? How did they handle the contradictions? How challenges did the officers face while training the Tuskegee Airmen? How did white pilots regard their African-American escorts? In what ways did women support the war effort? Why did President Truman sign an executive order desegregating the U.S. Armed Forces? What is your favorite poem in the collection? Your favorite passage or line? Why? Which illustrations moved you the most? Why? English/Language Arts/Drama: Using the WWII video “Wings for This Man” (with audio muted), read aloud poems from the collection,. English/Language Arts: Write a poem in first person in the voice of Lena Horne, Joe Louis or Eleanor Roosevelt. Or do a Web quest for images of Tuskegee Airmen. Find an image that speaks to you. Imagine that you are a that airman. Write a letter to your family at home. Character Education: Download the paper airplane motto exercise. Before folding a plane, write your own motto and design your own badge. English/Language Arts: Do a Web quest for information about Benjamin O. Davis, Jr. Write a brief biography of him. Social Studies: Write a letter to the editor opposing or supportint the Double V campaign launched by African-American newspapers. Social Studies: List locations of battles described in the book. Pinpoint the locations on a map. Social Studies: Research signs enforcing discrimination that were prevalent during WWII. Make a list of the text from those signs. Research Jim Crow laws. List types of places that were segregated. STEM: List aeronautics terms used in the book. Look up definitions of each term. STEM: List training and combat planes that the Tuskegee Airmen flew. Research specifications (year put into service, size, top speed, etc.) for each plane. Art: Using primary sources below, do a Web quest for images of the Tuskegee Airmen. Print images to create a collage. 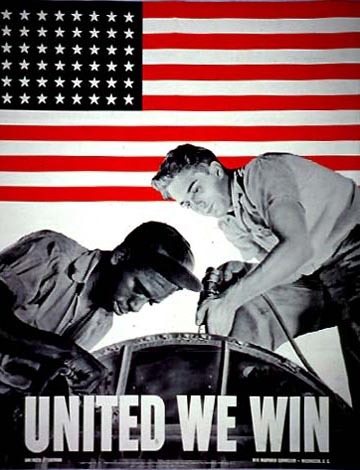 Recruitment posters: United We Win, Dorie Miller, Keep us flying! 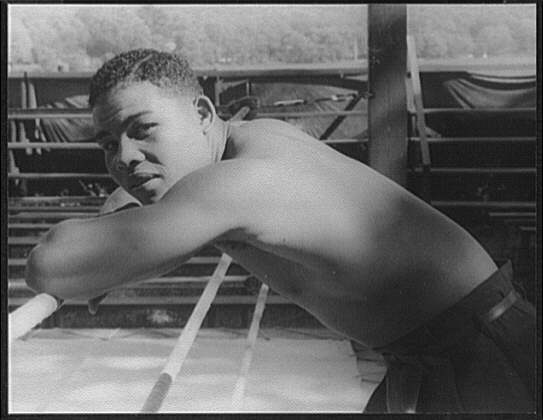 Joe Louis, boxing champion, in a rematch (video) with the German Max Schmeling.